In the Fall of 2009, I started my program in Massage Therapy at The Swedish Institute. Along with foundational coursework like Anatomy & Physiology, I was given an education in Eastern medicine. In my introductory class, we discussed the 5 Element theory to diagnosing and treating imbalances in the body. It broke down the acupressure point meridians and the paired organs that represented diagnostic elements. Dysfunction in these paired organs manifested physically and emotionally in the body. Treatments included bodywork, acupuncture, herbs and nutrition. There were foods to avoid and foods to promote the function of these pairs depending on the diagnosis given. Each element itself was associated with certain tastes and manners of eating. My mind was officially blown! Food as a healing prescription instead of an anxiety inducing activity resonated with me. I wasn’t at the point yet where I even liked to eat. All I knew was that I had to eat. Maybe those cravings for lamb burgers were more than just cravings! I soon learned that eating disorders like my Anorexia stemmed from imbalances in the paired organ relationship of Stomach and Spleen. Makes sense, right? Food goes into the Stomach and then is transformed and assimilated as energy or Qi that gets stored in the Spleen. Depleting my body of nutrients meant I had very little stored energy. People with Stomach and Spleen deficiencies experience a loss of appetite, digestive issues, difficulty putting on muscle, general weakness and lack of tone in their limbs, metabolic imbalances and irregular menstrual cycles. The emotional/spiritual manifestation of their imbalance is anxiety, worry, excessive thinking, pensiveness, obsessiveness, remorse, regret, obsessions, and self-doubt. Pretty much summed me up. I bought and borrowed every book I could find on TCM (i.e. Traditional Chinese Medicine) and Eastern theory. One of my class exercises was to create a 3 Day menu for an element of our choice. You know which one I chose. I ended up implementing this menu in my own life. In the first few months of 2010, I started to see muscle definition and an increase in my strength. My program was a mostly strength based workout with my trainer 2x per week and 2 days of some kind of cardio endurance training on my own. But by March, I found myself overcome with a strange new craving after my cardio workouts and it scared the crap out of me. Even though it was scary, this powerful urge for sweet made a lot of sense. Metabolically, I was depleting my energy reserves with the duration of my cardio activities. It was my brain telling my body you need the quickest form of energy available or you’ll crash. This energy is glucose. We derive glucose from consuming carbohydrates. The sugars in carbs are broken down to synthesize glucose which goes directly into the blood stream, also known as our “blood sugar.” From these same carbs, we also manufacture glycogen, a more complex sugar which is stored in our muscles and the liver. When blood sugar is depleted, a chemical messenger gets released that signals the glycogen stores to be broken down to glucose, which then gets sent into the blood stream to replenish our levels. My, then, boyfriend was all too happy to entertain this new craving and together we indulged it. Maybe I felt safer to consume sweets in his presence because it took the edge off of the guilt I felt. 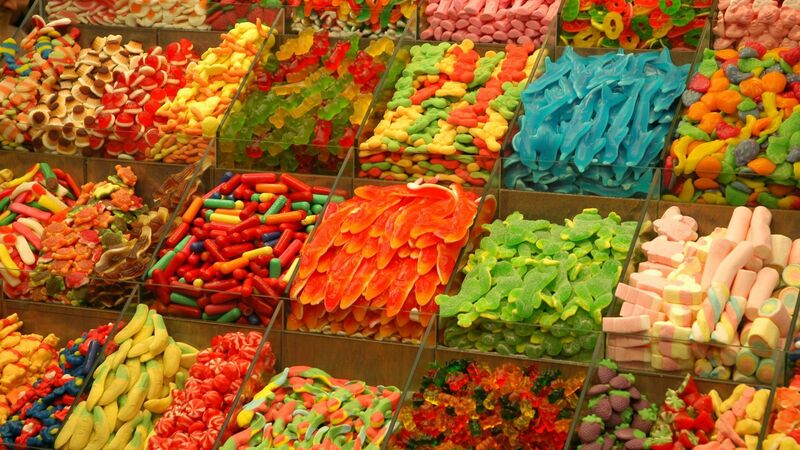 Sugar in any form was something I avoided and restricted. It caused me to have anxiety and made me moody. My periods were more painful. And the worst result of all was an increase in my body fat percentage by the year’s end because I wasn’t careful with my portions. This habit could not continue. I clearly had to change the way I was working out on my own and what I was consuming afterward. I didn’t want all my hard work to be for nought. I looked into the chapters on nutrition in a few different Exercise Science textbooks. Many of them spoke about consuming a high glycemic index carb within a half hour to an hour of endurance workouts in order to replenish blood sugar levels and prevent the muscles from being targeted for glycogen breakdown. Muscles need that energy to repair themselves, not to keep you from fainting after your workout. 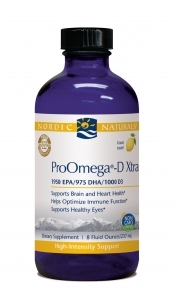 Also recommended for muscle repair and recovery was a protein, preferably from the 8 essential aminos family and especially high lucein in nature, along with a source of Omega 3 fatty acid. The above macro-nutrients were recommended to be eaten within 90 mins post workout. If I could create a snack that encompassed all the macros I needed, I would not only be doing my body good, but would also be shutting the sugar cravings down for good. I discovered High Intensity Interval Training or HIIT while watching a documentary on obesity in the UK in 2011. I learned that 20 minutes of intense activity done in short intervals using 90% of my max energy level with even shorter rests in between accomplished more than any of my 90 min cardio benders. This was a more efficient way of getting my cardio in no matter what my schedule was like. I started with beginner level intervals and within a year, made it to more advanced routines. I already had a good cardio base to work with and I was careful not to do movements where I felt my form was anything short of perfect. MAJOR NOTE: HIIT is something to work up to. You cannot go from a sedentary lifestyle right into this kind of exercise. You need a strong cardio vascular system and a keen understanding of form before going “balls to the wall” – seek out a trainer that can get you there! 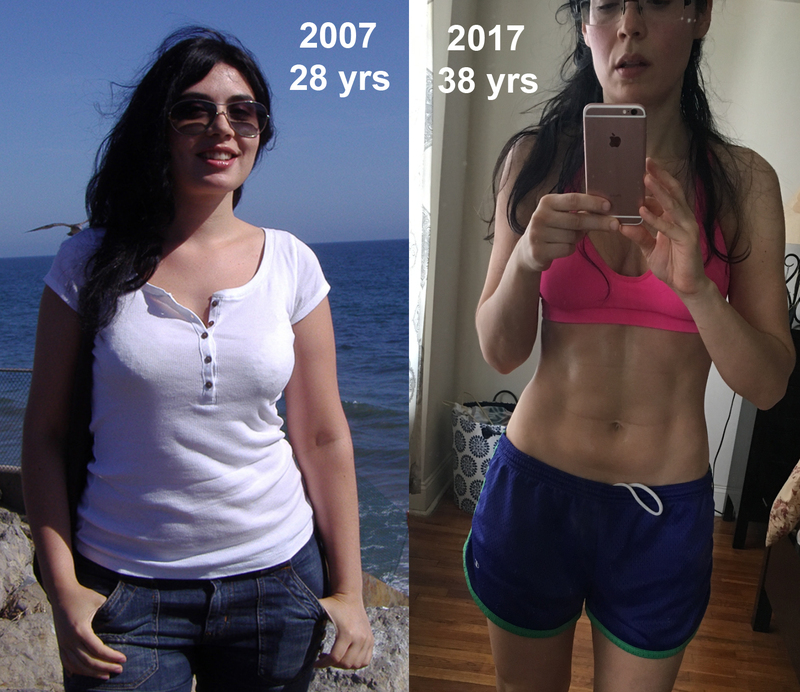 It may have taken almost 7 years, but I had finally found the fitness formula that worked best for me – a combination of strength training and HIIT along with proper nutrition to support my activity levels. 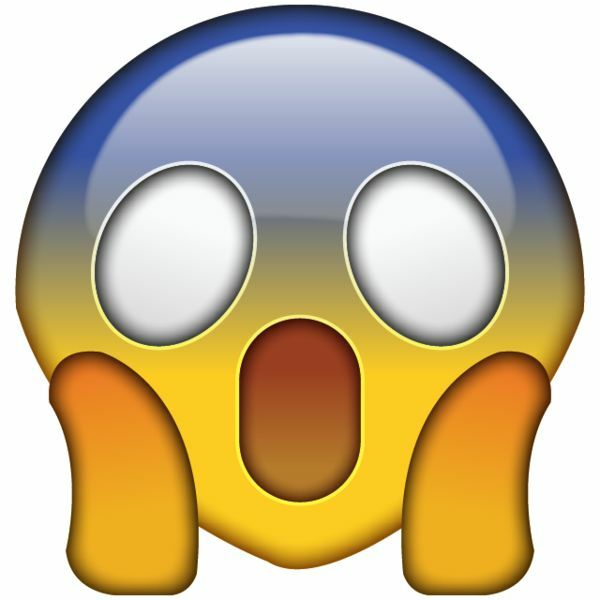 And an amazing thing happened. I started to like eating. One of my favorite post workout snacks is a cup of full fat Greek yogurt, with 3 Medjool dates, a tsp of Greek honey and 2 tsps of tahini. I also created a shake recipe that tastes a lot like lemon cake batter. I blend 1 cup of Kefir (a fermented milk drink similar to yogurt that is a great source of probiotic strains for your GI), 1 frozen banana, 10 blueberries, 1 tsp almond butter and 2 tsps ProOmega D-Xtra liquid from Nordic Naturals (a great source of Omega 3 fatty acid). 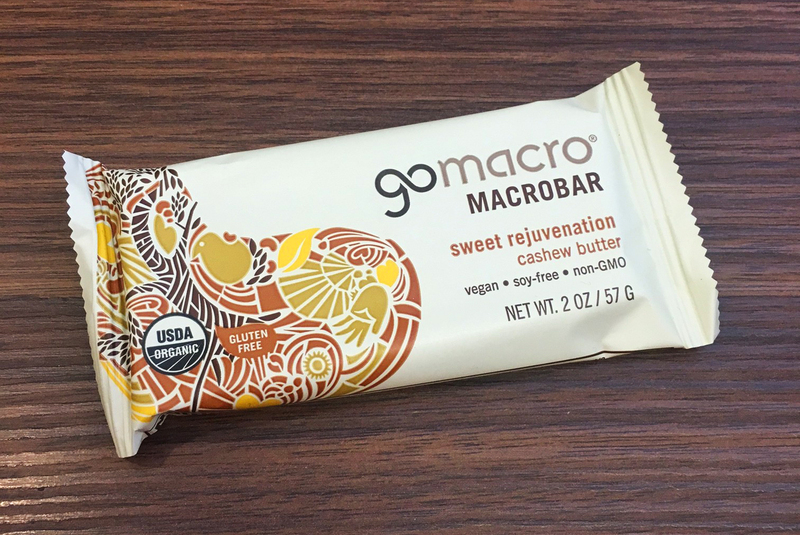 Lastly, when I’m in need of a snack on the go between clients, I prefer the Go Macro macro-nutrient bar along with some kind of fruit. My favorite combo to date is the cashew butter macrobar “sweet rejuvenation” (pictured below) with a medium sized ripe apricot. Redefining my relationship with food was one of the hardest challenges I overcame in my recovery from Anorexia. It’s been a decade plus journey with plenty of weak moments and falling off of the wagon. In an effort to hold myself accountable and practice what I preach, to both my clients and loved ones, I’d like to tell you a bit about the role nutrition played in getting me to where I am today. The body is a wonderfully efficient machine. Starve and abuse it, but in a continuous loop of feedback mechanisms, the brain catches wind of what you’re doing and tweaks every cell in the body to maintain your existence. When I started to eat again, my brain clearly didn’t trust me. It adjusted my metabolism to a lower rate in order to make sure the calories I put into my body wouldn’t disappear. It took a while to earn that trust back. The image you see above from 2007 is a softer, fuller girl almost 2 years into recovery from Anorexia. I didn’t know how to exercise properly. I didn’t know how to like food, much less understand now-common concepts like macronutrients. I was instructed by my then counselor not to restrict food and was assured my metabolism would normalize. Eventually. But, of course, I was still afraid to eat. I categorized foods into “safe” and “off limits.” How did I decide what made them safe? They were low in fat or fat free. Vegetables or fruit were safe, as long as they didn’t bloat me. Liquids were safer than solids. It also helped if they were low in calories per serving. I ate my “safe foods” repetitively and copiously. My criteria for safe were so far off the mark that they actually contributed to my rapid weight gain. As my body continued to expand, I had to fight the urge to restrict my eating. I wanted someone to give me a magic menu or list of foods that I could eat without anxiety. I wanted safety, but I needed education. Through therapy, I was getting served a whole lot of how to eat through mindfulness, which was helpful – chew your food well, eat slowly, savor the flavors, be grateful for the nourishment – but nobody was telling me what to eat. How could I begin to structure balanced meals that would fuel my body efficiently? My self education was to obsessively watch fitness channels on Youtube. This was when I first came across the term macronutrient. The body builders and fitness professionals I was taking notes from all shared the same advice – count your macros. It’s a catchy word, especially when repeated like a mantra, but what exactly are they? Carbohydrates, Proteins and Fats: compounds we derive the most energy from and that make up the bulk of our diets as humans. Our cells need these nutrients to grow and develop properly. Finally, I had something specific to focus on. I concentrated on the ratios of these compounds that the fitness community recommended were optimal for fitness and good health. I constructed a daily diet that consisted of ready made and home made protein powder based shakes, protein bars, bags of nuts, bananas for my pre-workout, and cans of water packed tuna for dinner. Finally, I had a new “safe” list! Problem was, it was even more restricted than my previous one. My workouts were cardio endurance based only and lasted between 60 and 90 minutes to the point of utter exhaustion. There are a number of reasons why this is not the fitness route you want to go down, but I will get into that in my next post. I dropped about ten pounds, but I was constipated, had started to develop eczema patches all over my body and odd outbreaks of hives, had terrible insomnia and brain fog. As if that weren’t all bad enough, I put on virtually no muscle tone. At the end of 2007, my annual blood test indicated I was deficient in many vitamins and borderline anemic. Essentially, I was malnourished. My doctor didn’t help matters either by telling me I needed to lose a few pounds. He came to this conclusion based on a chart of height and weight ranges of which I was at the high end of normal. FYI – this chart also said I was a normal weight when I had full blown anorexia. Scary, truly. 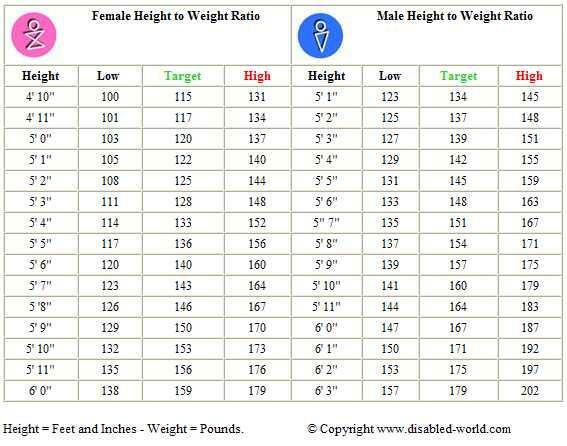 Here’s an example of a Height to Weight Chart, like the one my doctor used to determine I needed to lose weight. These things are AWFUL! I left the doctor’s office terrified. Working with a trainer, he put on lean muscle that raised his metabolism and allowed his body to burn off more calories at rest. And he noticed something interesting. The fitter he became, the less he craved the fried pork chops, plantain chips and soda of his youth. Remember what I said about the wonderful efficiency of the body? As his body grew healthier and stronger, so did his food choices. He strongly urged me to contact his trainer. After I got over myself (my bad experience with personal trainers was documented in my post A Body Is A Terrible Thing To Waste) I set up my first session in August of 2008. I started on the strength-training program the trainer designed for me. It was around the 6 week mark that I started to feel something I never expected to feel again. Hunger. I was hungry all the time. To actually feel my stomach rumbling and experience the weakness of NOT attending to that hunger was frightening to me, but also a huge step forward. Hunger was a sensation I had psychologically dulled for years with my disordered eating habits. So, for the first time since my recovery began, I ate when I was actually hungry. This. Was. A. Game changer. I was most ravenous within an hour of my workouts. I found myself craving meat, which was shocking because I had been a vegetarian for 7 years and the thought of animal protein in my mouth used to nauseate me. This hunger and these new cravings were my body’s call to action.